Granny Squares are my favorite crochet pattern of all time. This classic has been around for generations. Even hundreds of years. No one knows exactly when this pattern first was featured but SAYRAPHIM has done some research into the subject. She claims to have found documents from a textile company dated back to the 1800's that describes how to make these lacy blocks though they do not refer to them as granny squares in the publication. Popular in the 70's, these squares are making their revival and today I am going to teach you how to make them. Almost everyone that knows how to crochet has probably made one of these squares at some point and now you can too. Have you ever noticed that almost every one of the sitcoms on prime time television feature an afghan made from some type of crochet. I see it more often now than every before. Many of the shows that feature a family has an afghan made with these iconic squares on their couch. My absolute favorite of all time would have to be the afghan seen on the popular 90's television show, Rosanne. My uncle has even told me that when he attended elementary school, one of the units they completed was about crochet and he was required to learn how to make a granny square. These squares are fairly simple to complete. If you have learned how to chain stitch and how to double crochet, you are probably ready to tackle this pattern. 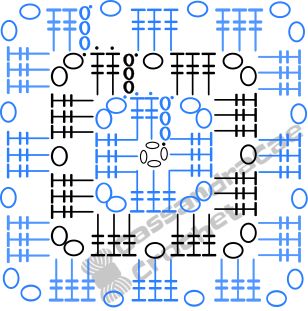 Here I have created a diagram that shows the pattern. 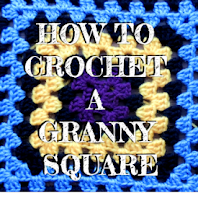 Because of the ease of this pattern, it is a great way to start learning how to read crochet diagrams and how to read written patterns. R3: Ch 3 (counts as 1st dc), 2dc in ch2 sp, ch 2, 3dc in same ch 2 sp, Ch 1, 3dc in next ch1 sp, Ch1, Work the following 3 times *ch 1 3 dc, ch2, 3dc in next ch2 sp, Ch 1, work 3 dc in next ch 1 sp** Repeat * to ** 2 more times, Join with sl st to top of ch 3. 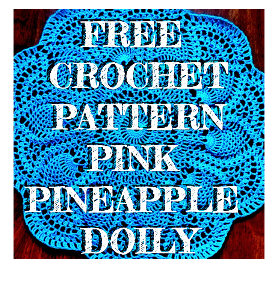 I hope this post clears up some confusion people may have when making granny squares. They are pretty easy and once you learn this pattern it will be in your head forever. 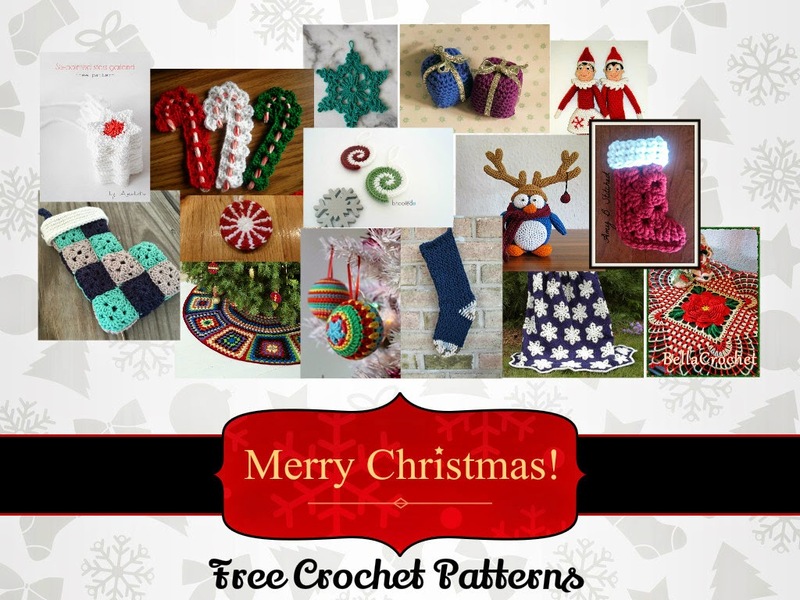 It is very easy to repeat the pattern over and over again to reach the desired size. I am working up a couple of different projects with granny squares. I have made a baby blanket out of one giant granny square and I am currently working on a large afghan using multiple large granny squares. As I get my studio back together I hope to put together a photographic tutorial on granny squares as well. 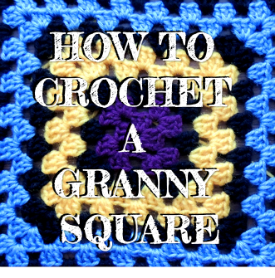 Are you working on a project with granny squares? Make sure to tell me about it in the comments. I love to read my readers comments and try to reply to them all.